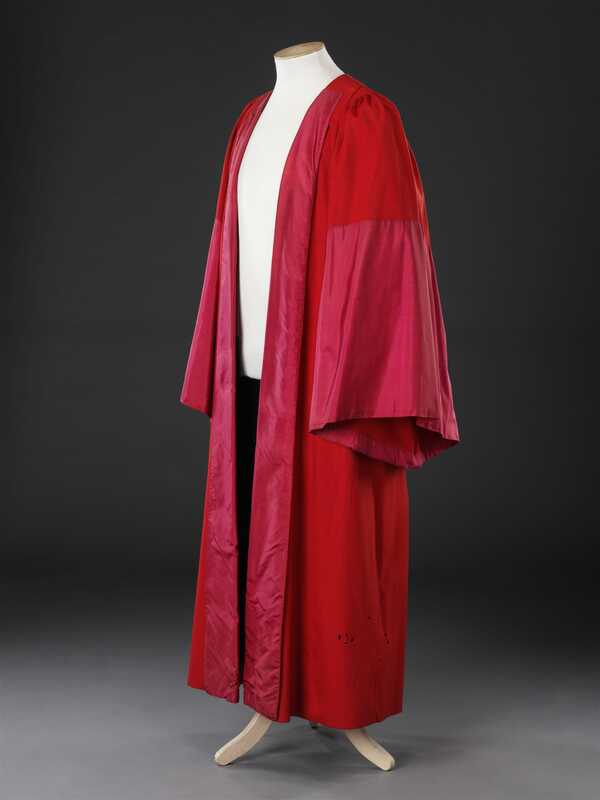 This academic gown, that of Doctor of Civil Law at the University of Oxford, is believed to be a rare survivor of its date. It belonged to Roundell Palmer, a lawyer and member of parliament knighted in 1861 who, when the honorary DCL was conferred upon him in 1862 for his significant contribution to law and politics, held the post of Solicitor General. 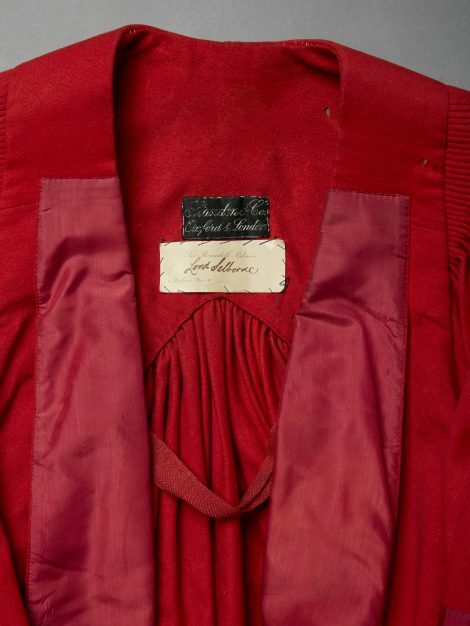 It would seem likely that the label of the academic tailor Standen & Co. and the card label printed ‘Sir Roundell Palmer’ and ‘6 Portland Place, W.’, where he lived during the 1860s, were sewn in to the gown at the time of his conferrment. The handwritten ‘Lord Selborne’ was added to the card after his creation as Baron Selborne in 1872 when he became Lord Chancellor in William Gladstone’s government. 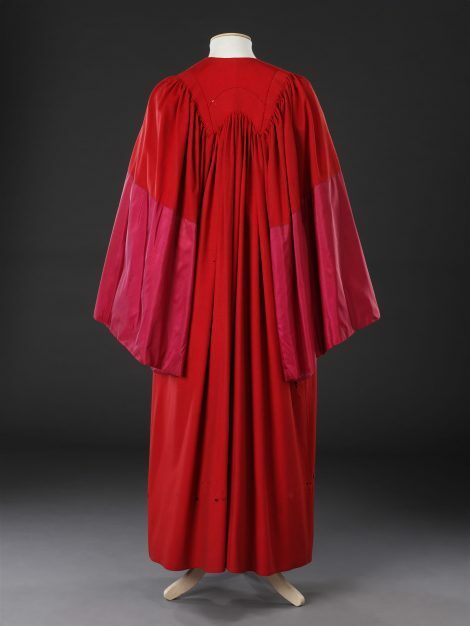 Gladstone himself can be seen in an identical DCL gown in a portrait at Christ Church Oxford (see Link: artuk.org/discover/artworks/william-ewart-gladstone-18091898-228986). 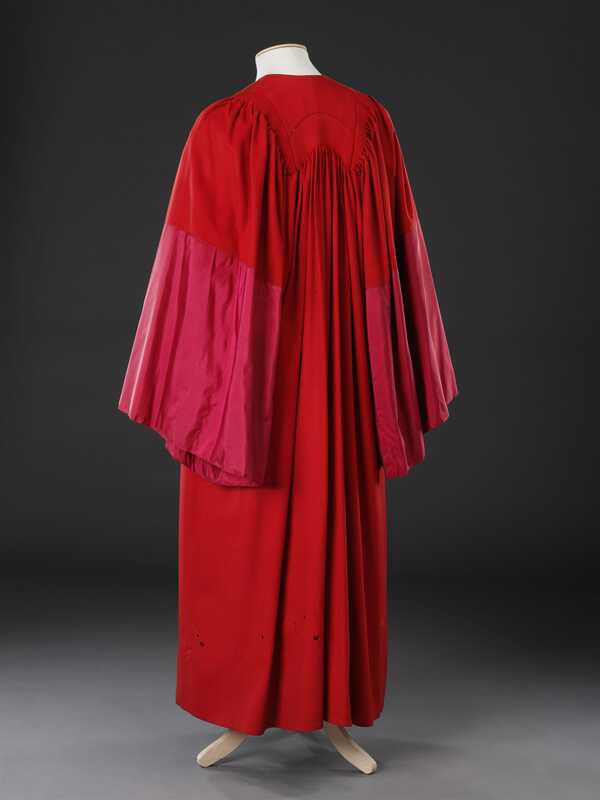 The gown is made of scarlet wool, unlined except at the back where an extra layer of wool covers the deep cartridge pleats set into a yoke. 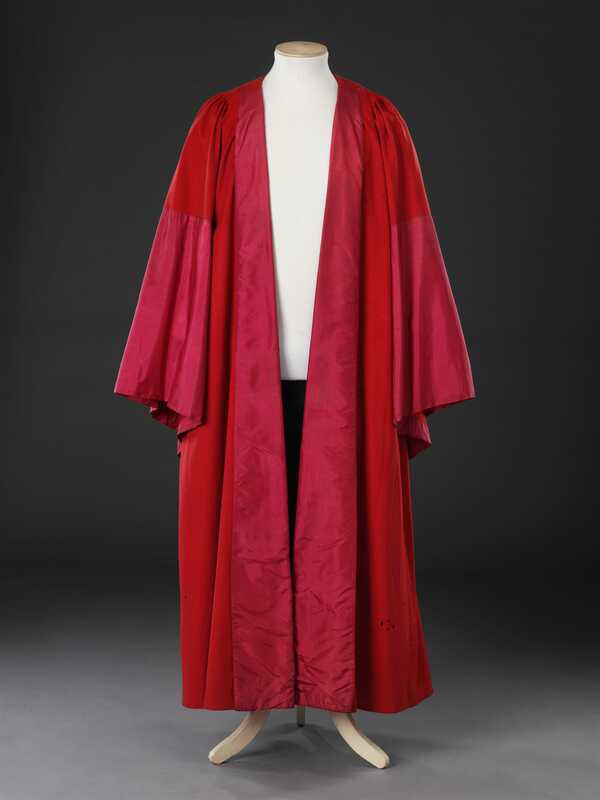 The front facings and the deep lower sections of the very wide sleeves are of crimson silk. According to academic dress historians the colour of the silk of DCL gowns changed from pink to crimson in the mid 19th Century, so this gown may be an early example to have been trimmed with crimson silk.